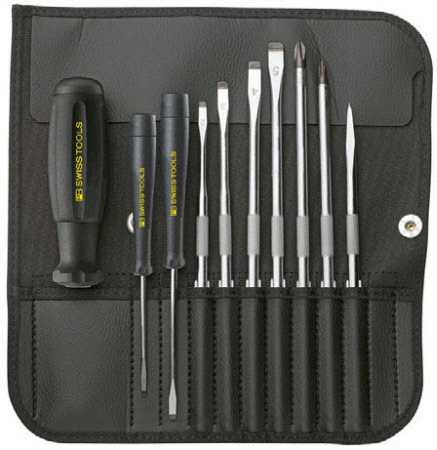 ESD screwdriver set with interchangeable blades in a compact roll-up case (imitation leather). and servicing work, for leisure at home and on the move. bit-holder interchangeable blades, all Precision Bits of type C6 can be used in all exchangeable and torque handles.